"Maybe half of it was my fault because I didn't look at the fine print," Dr. Bisutti says. "But this is just outrageous now." To be sure, Dr. Bisutti's case is extreme, and lenders say student-loan terms are clear and that they try to work with borrowers who get in trouble. But as tuitions rise, many people are borrowing heavily to pay their bills. Some no doubt view it as "good debt," because an education can lead to a higher salary. But in practice, student loans are one of the most toxic debts, requiring extreme consumer caution and, as Dr. Bisutti learned, responsibility. Unlike other kinds of debt, student loans can be particularly hard to wriggle out of. Homeowners who can't make their mortgage payments can hand over the keys to their house to their lender. Credit-card and even gambling debts can be discharged in bankruptcy. But ditching a student loan is virtually impossible, especially once a collection agency gets involved. Although lenders may trim payments, getting fees or principals waived seldom happens. Yet many former students are trying. There is an estimated $730 billion in outstanding federal and private student-loan debt, says Mark Kantrowitz of FinAid.org, a Web site that tracks financial-aid issues -- and only 40% of that debt is actively being repaid. The rest is in default, or in deferment, which means that payments and interest are halted, or in "forbearance," which means payments are halted while interest accrues. Although Dr. Bisutti's debt load is unusual, her experience having problems repaying isn't. Emmanuel Tellez's mother is a laid-off factory worker, and $120 from her $300 unemployment checks is garnished to pay the federal PLUS student loan she took out for her son. By the time Mr. Tellez graduated in 2008, he had $50,000 of his own debt in loans issued by SLM Corp., known as Sallie Mae, the largest private student lender. In December, he was laid off from his $29,000-a-year job in Boston and defaulted. Mr. Tellez says that when he signed up, the loan wasn't explained to him well, though he concedes he missed the fine print. Loan terms, including interest rates, are disclosed "multiple times and in multiple ways," says Martha Holler, a spokeswoman for Sallie Mae, who says the company can't comment on individual accounts. Repayment tools and account information are accessible on Sallie Mae's Web site as well, she says. Many borrowers say they are experiencing difficulties working out repayment and modification terms on their loans. Ms. Holler says that Sallie Mae works with borrowers individually to revamp loans. Although the U.S. Department of Education has expanded programs like income-based repayment, which effectively caps repayments for some borrowers, others might not qualify. Heather Ehmke of Oakland, Calif., renegotiated the terms of her subprime mortgage after her home was foreclosed. But even after filing for bankruptcy, she says she couldn't get Sallie Mae, one of her lenders, to adjust the terms on her student loan. After 14 years with patches of deferment and forbearance, the loan has increased from $28,000 to more than $90,000. Her monthly payments jumped from $230 to $816. Last month, her petition for undue hardship on the loans was dismissed. Sallie Mae supports reforms that would allow student loans to be dischargeable in bankruptcy for those who have made a good-faith effort to repay them, says Ms. Holler. Dr. Bisutti says she loves her work, but regrets taking out so many student loans. She admits that she made mistakes in missing payments, deferring her loans and not being completely thorough with some of the paperwork, but was surprised at how quickly the debt spiraled. She says she knew when she started medical school in 1999 that she would have to borrow heavily. But she reasoned that her future income as a doctor would make paying off the loans easy. While in school, her loans racked up interest with variable rates ranging from 3% to 11%. She maxed out on federal loans, borrowing $152,000 over four years, and sought private loans from Sallie Mae to help make up the difference. She also took out two loans from Wells Fargo & Co. for $20,000 each. Each had a $2,000 origination fee. The total amount she borrowed at the time: $250,000. In 2005, the bill for the Wells Fargo loans came due. Representatives from the bank called her father, Michael Bisutti, every day for two months demanding payment. Mr. Bisutti, who had co-signed on the loans, finally decided to cover the $550 monthly payments for a year. Wells Fargo says it will stop calling consumers if they request it, says senior vice president Glen Herrick, who adds that the bank no longer imposes origination fees on its private loans. Sallie Mae, meanwhile, called Mr. Bisutti's neighbor. The neighbor told Mr. Bisutti about the call. "Now they know [my dad's] daughter the doctor defaulted on her loans," Dr. Bisutti says. Ms. Holler, the Sallie Mae spokeswoman, says that the company may contact a neighbor to verify an individual's address. But in those cases, she says, the details of the debt obligation aren't discussed. Dr. Bisutti declined to authorize Sallie Mae to comment specifically on her case. "The overwhelming majority of medical-school graduates successfully repay their student loans," Ms. Holler says. After completing her fellowship in 2007, Dr. Bisutti juggled other debts, including her credit-card balance, and was having trouble making her $1,000-a-month student-loan payments. That year, she defaulted on both her federal and private loans. That is when the "collection cost" fee of $53,870 was added on to her private loan. Meanwhile, the variable interest rates continue to compound on her balance and fees. She recently applied for income-based repayment, but she still isn't sure if she will qualify. She makes $550-a-month payments to Wells Fargo for the two loans she hasn't defaulted on. By the time she is done, she will have paid the bank $128,000 -- over three times the $36,000 she received. She recently entered a rehabilitation agreement on her defaulted federal loans, which now carry an additional $31,942 collection cost. She makes monthly payments on those loans -- now $209,399 -- for $990 a month, with only $100 of it going toward her original balance. The entire balance of her federal loans will be paid off in 351 months. Dr. Bisutti will be 70 years old. The debt load keeps her up at night. Her damaged credit has prevented her from buying a home or a new car. She says she and her boyfriend of three years have put off marriage and having children because of the debt. Mark Herpel is the editor of Community Currency Magazine which is published online 6 times a year. Subscritions are free and industry ads are free. 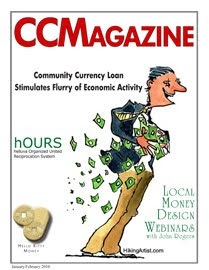 Readers are invited to share the good news about “Community Currency Magazine” so that everyone will know that usuryfree living is possible in this 21st Century. 8 + 13 = 21 etc. 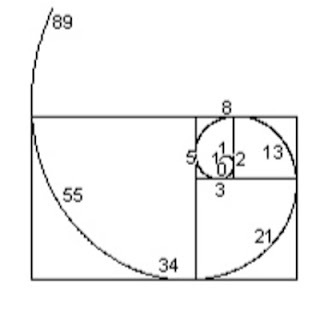 Since the number 13 is within the spiraling Phi energy and prominent in the evolving pyramidal shape, some usuryfree creatives are adopting what they believe is the optimal strategy to advance the UsuryFree Resolution during these transitory times. They are valuing their one hour of time for basic, unskilled labour at $13.00 (Canadian funds). This is above the minimum wage as legislated by the federal government. Any community launching a usuryfree time currency with their one hour of time valued at $13.00 (Canadian Funds) can quite easily multiply to find the value equivalent for more than one hour or divide to find the value equivalent for less then one hour. Obviously, the value assigned to one hour of time may vary in different communities. Other communities prefer to have their one hour of time for basic, unskilled labour valued at $12.00 – since it is more easily divisible. There are already participating time-traders within different group who are trading and they are simply accepting each other’s time currency at par – regardless of the value assigned by any particular community. At some future point, there may be consensus within the various communities – whether they use paper notes with a dollar equivalency or a time equivalency to agree on a simple, universal value where the minute is worth one unit and the hour is worth 60 units. The visionary, usuryfree creatives view a usuryfree time currency as the optimal tool to facilitate trading between sovereign individuals as well as municipalities, provinces and countries in the shifting paradigm. This is because one hour of time has a value of sixty minutes everywhere on planet earth, thereby abolishing exchange rates that are currently in operation under the present economic paradigm. There is also an understanding that we, the usuryfree creatives must create a universal network (database) on the Internet that will serve us locally, nationally and internationally. This network must be self-managed and without borders or a central structure. To be a participating trader calls for impeccable self-management, high integrity and keen responsibility. Potentially and ultimately, each trader will assume responsibility of his/her own accounting. There ought to be no association, no registration fee, nor any annual subscription fee. Any traders who choose to advertise their products and/or services will pay a fair market fee for this service. Trading agreements are to be negotiated between any two traders. The trading process must be free and unconditional and guided by the free market. During these transitory times various communities will choose to print paper notes of a usuryfree community currency in different denominations to facilitate trading. The printing costs of these paper notes can be financed by local participating businesses that willingly pay some federal dollars to advertise on the backs of the paper notes. Indeed, there are signs everywhere that the usuryfree community currency movement is coming of age, as our orthodox money supply continues to diminish in value, and communities continue to suffer at the hands of the banking cartel. This usuryfree community currency movement was re-birthed in the early 1980’s when Michael Linton, from Courtenay, B.C. Canada created the first usuryfree trading software called the LETS (Local Employment Trading System). The LETSystem permitted networks of traders within local communities to organize and operate as a perfected model of a usuryfree banking system – much like any casino bank where the chips never inflate and never lose their purchasing power. All participants in a community were enrolled and their data is stored in a computer. Each trader was initially assigned an account number and a beginning balance of zero. A file was then created which listed a description of products and/or services offered and requested. These items for exchange were negotiated for a ratio of any usuryfree community currency that was accepted as a complement with federal cash. All members used the telephone to record their trades and the local sysop (system operator) input the data into the LETS software program and each member received a monthly statement which closely resembled an ordinary bank account – minus the interest or usury. Since the early 1980’s, the usuryfree community currency movement has evolved and now most communities prefer the more popular medium of exchange – paper notes. Let the UsuryFree Resolution grow and expand to become all inclusive so that everyone living on this planet can experience the reality of usuryfree living. When Judith Lasker joined the Community Exchange program, a local currency organization in Lehigh Valley, Pa., she knew she was helping fellow members of her community. She just didn't realize how much. Driving an older member of the Community Exchange to a physical therapy appointment one morning, Lasker was touched by her passenger's story of how the exchange had changed her life. "She said simply that she would have been forced to give up her home if not for the program," Lasker said. Community Exchange is just one example of local, hours-based "currencies" that are growing in popularity nationwide. Today, there are close to 100 types of local currencies operating in the United States. While some currencies are true to their name and are backed by federal dollars, others are simply a record of hours worked by contributing “time bank” members. “Whenever you have a shortage of money, people look to invent their own medium of exchange,” said David Boyle, fellow of the New Economics Foundation and Author of "Money Matters." The earliest local payment system on record began in the1930’s, which isn't surprising; historically, local currencies have been most popular during times of economic crisis, and the U.S. then was in the midst of the Great Depression. Today, the Community Exchange hours system has 450 members, though similar systems work with just 50 or more members. When one member does something for another, they get credit for the amount of time spent helpng. Each member’s time is worth the same, whether they’re giving tax advice or cooking dinner. Because there is no set standard for what a local currency should be, many times the grassroots effort to start a program doesn’t gain the momentum it needs. The average success rate for local currency is around 20%, according to a study done by Professor Ed Collom at the University of Southern Maine, which looked at 82 such currencies. “It’s difficult to keep going, because of the scale on which they are organized,” said Boyle. “You’ve got local people organizing it, and inevitably the workload gets out of hand.” Boyle sid that in order for a local currency to thrive it must be imbedded with another type of endeavor, like a local business or the local government. Of course, even local currencies with tangible bills aren’t foolproof. “Counterfeiting is always a possibility,” said Susan Witt, executive director of the E.F. Schumacher Foundation and co-founder of BerkShares, the local currency in the Berkshire region of Massachusetts. Counterfeiting has never happened before, thanks to security features on the bills, and the relatively small size of the circulation area, Witt said. “If someone showed up with several fake 50s, it wouldn’t take long to figure out who they were,” Witt said. Since 2006, BerkShares have been traded through 13 branches of 5 local banks. The exchange rate is 95 cents to every dollar. Accepted at just under 1,000 retailers in the region, $2.5 million of BerkShares have been issued from the bank, and $140,000 are currently in circulation. Convincing local retailers to use the BerkShare hasn’t been tough, Witt said. Although there is a 5% discount to customers, it’s seen as a way to encourage citizens to shop locally. It also means merchants aren’t paying for processing of credit card fees, bounced checks, or waiting to collect on bills. For merchants that accept BerkShares, there’s the possibility of having too great of a ratio of Berkshares to dollars. Should a merchant find they have too many to do business properly, they can go to a local bank and trade in their BerkShares for federal dollars. With BerkShares, as with all local currencies, there are no coins allowed. Although local currencies are legal as long as there is an exchange rate with federal dollars so transactions can be recorded for tax purposes, coins are not allowed because they involve processing precious metals. The main stumbling blocks for local currencies are maintenance and staff, Collom said. For BerkShares, grants to pay for printing of the currency and bank account setup was provided by a donor-directed fund at the Rudolph Steiner foundation in California. With the broader economy stil trying to find its feet, local currencies will continue to grow and flourish, according to Boyle. “Typically, these things tend to happen in births of innovation and then its quiet again, and I think we are at the beginning of a birth at the moment,” he said. 'Money as Debt II’ is the new dual pack. It contains a copy of Money As Debt I and Money As Debt II - a total of 77 minutes. This dual pack was released in the summer of 2009. Money As Debt I is a 47 minute DVD created by Paul Grignon from Gabriola, British Columbia, Canada. Money As Debt I was released in 2006. Paul has interspersed a series of historical banking quotations throughout these DVDs. He also uses cartoon characters in a very effective manner to explain 'What Is Money.' Then using these cartoon characters to relate a 'Goldsmith's Tale' that explains the history of gold as money and how the idea of interest or usury was conjured up by the goldsmiths who became greedy. Finally, Paul presents a good explanation of 'The Money System Today' wherein he shows how money in our modern society really represents debt. He shows graphically how banks create money from the borrower's promissory note. He points out that the amount of money in circulation is equal to the total amount of debt. He also confirms that loans do not come from depositors' funds which is the misleading impression held by most people. Paul gives a short history of usury and explains how there was a time in history when every religion opposed usury. He summarizes that the charging of interest or usury is a moral and practical problem in this 21st Century because the banks create the principal of any loan but they never create the interest or usury that is exacted and added to any loan payment. The design flaw of usury is amply illustrated for the evil function that it is. Finally, Paul spends some time on proposals that will change the orthodox system of usury-based finance. He advocates the usuryfree LETS (Local Employment Trading System) software and illustrates paper notes of usuryfree time currency as usury-free debt money. He shows an example of personalized money with the creator's picture on it. It visually makes the point that we can issue "personal and usuryfree debt money" without the involvement of banks. Paul recommends that local communities establish independent, local barter networks as the last, best defense against the New World Order's plans for a one world usury-based, electronic money supply where every transaction is tracked by the system. In summary, usuryfree community currencies are the optimal, emergency-preparedness model for any community. In closing, Paul presents a permanent usuryfree money proposal that can be implemented by any level of government. Such a proposal would free us from the Economic Dictatorship that currently is the shadow behind all levels of government - municipal, provincial/state and federal. Most people that I have shown these DVDs to say that they want (need) to see them more than once. I recommend this DVD set for anyone's library as it can be a great teaching tool to share with those who are ready and willing to learn what formal education neglects to teach. The UsuryFree Network is promoting the DVD 'Money As Debt' as a fundraiser to raise money for the Sixth Annual UsuryFree Day celebrations on Saturday, November 13th, 2010. In fact, that week is designated as UsuryFree Week and usuryfree creatives in various communities are planning events to recognize that usuryfree living is possible and probable for those who make the choice to free themselves from the scourge of usury. More details about the events to celebrate UsuryFree Week will follow in the summer and fall of 2010. 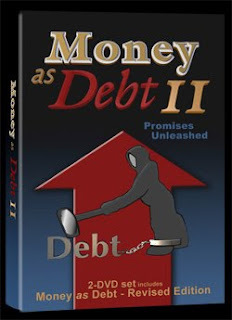 The UsuryFree Network is marketing the 'Money As Debt II' DVD pack with a retail value of $25.00 (Canadian Funds) or its equivalency in any other national currency. This is payable in Canadian Funds or in the alternative $20.00 Canadian Funds and $5.00 usuryfree community currency. Any usuryfree community currency is accepted whether in Canada or the United States or elsewhere. Readers are encouraged to buy an extra copy and gift it to any social, environmental or electoral reform group or organization as such groups need to know that unless the money-as-debt-plus-interest system is fundamentally reformed, no other reforms will ever succeed, at least not for long. Encourage these groups to view this entertaining explanation about money and then recommend it to their members and the public. Any further suggestions in this regard are welcomed and appreciated. My pitch to social justice, environmental and electoral reform activists is that, without monetary reform, political reforms will not achieve the goals intended - fundamental power lies in money creation, not laws. And without electoral reform, monetary reform is not going to happen. In this way, I see the 'Money as Debt II” set of two DVDs helping to enlist a wide variety of social activists behind the demand for both electoral and monetary reform. PS: As an active UsuryFree Creative, I am available for contract to help any community organize a local usuryfree community currency. See details below. 1. Usury is both wrong morally and bad for society, because it is the claim for an increase of wealth which is not really present at all. It is trying to get something where there is nothing out of which that something can be paid. 2. This action must therefore progressively and increasingly soak up the wealth which men produce into the hands of those who lend money, until at last all the wealth is so soaked up and the process comes to an end. 3. That is what has happened in the case of the modern World, largely through unproductive expenditure on war, which expenditure has been met by borrowing money and promising interest upon it although the money was not producing any further wealth. 4. The modem World has therefore reached a limit in this process and the future of usurious investment is in doubt. Though these conclusions are perfectly clear, it is unfortunately not possible to say that this or that is a way out of our difficulties; that by this or that law we can stop usury in the future and can go back to healthier conditions. Trade is still spread all over the World. It is still impersonal and money continues to be lent out at interest unproductively, with the recurring necessity of repaying the debt and failing to keep up payments which have been promised. Things will not get right again in this respect until society becomes as simple as it used be, and we shall have to go through a pretty bad time before we get back to that. What about that "holiday of a lifetime, thanks to a bank loan", or "those presents, bought with a credit card", or "your new car, bought on installments", or "your nice home, with the 25 year mortgage"? All Usury. Shocked? Think about this: that it was calculated that as recently as 1989, the average person was spending nearly 80% of his income, directly or indirectly, on usurious payments. In other words our society is in the grip of an evil that has been condemned from the earliest recorded times. Today it is in a form so refined that most people do not even know it. 1001 things that all do regularly? Not at all. It is quite the reverse, because in a system free of usury, prosperity grows and expands to the benefit of all - except bankers, and Stock Exchange swindlers, and loan sharks, and speculators. In other words, a usury-free society is one in which 99% of the people gain at the expense of the 1% who exploit; while a usury-dominated society means working for the interests of the 1%, and suffering all kinds of hardships to make ends meet. political figure, and no journalist, and no "truth-seeker" is prepared to say the word, because he knows it would be the end of his career. Why? Because when you grasp the essential message of usury - which involves the creation of money from nothing - and how it works in the modern World, you will understand that booms and depressions, and inflation and deflation, are not freak events, but events that can be socially engineered and scientifically predicted, caused by a handful of mega-financiers. more rapidly. Between 1980 and 1986 it grew by nearly 100%, yet in half that time - 1986-1989 - it has grown by over 200%. Yet when we look at international trade during the same nine-year period - that is, the distribution and exchange of real goods and services - we find that they have grown from $7.6 billion to just $12.4 billion - not even doubled. So usury is growing both in volume and proportion, while real trade is declining in proportion. *Home Rule for BC adds that speculation in money is becoming known as "stratospheric money", for a couple of reasons - it moves around the World in a flash, and it is high up out of the reach of the ordinary person*. So who is responsible? The governments? Yes, because they should protect their people. But in today's system the Bank of England, The Bundesbank, Banca Italia, and the Federal Reserve, are no more under the control of their respective governments than is the weather on Jupiter. Well, here are three examples. "The mission of the German Central Bank is a classical one, but its organisation is unique. Its governing body, all-powerful, is not answerable to Parliament or to the government." *Clearly, the men who control the banks effectively control the World - private individuals "creating" or "uncreating" money as they see fit, following whatever suits their interests, and without a thought for society as a whole. * Heads they win, and tails you lose. Well, we?ve seen now several ways that the central banks are just acting in the interest of the Illuminati Banking dynasties, regardless of whether they are fully private, semi-private or government owned. *If the money is issued by a privately owned corporation, its owners benefit by causing the money amount and its value to fluctuate and causing the people to go into debt and pay interest permanently through taxes*. Under the present debt-usury system, the extra burden of usury forces workers and businesses to demand more money for the work and goods to pay their ever increasing debts and taxes. This increase, in prices and wages and taxes, is called "inflation". Illuminati Bankers, politicians and "economists" blame it on everything, but the real cause is the usury levied on money and debt by the Illuminati Bankers. This "inflation" benefits the money-lenders since it wipes out savings of one generation so they can not finance or help the next generation who must then borrow from the money-lenders and pay a large part of their life's labor to the usurer. With an adequate supply of interest-free money created by the sovereign Government, little borrowing would be required, and prices would be established by people and goods, and not by debts and usury. "History shows that the money changers have used every form of abuse, intrigue, deceit and violent means possible to maintain control over governments by controlling the money and the issuance of it." this one, and none offer more practical and effective solutions than Hoskins. According to Hoskins, every major war, financial panic, economic depression, and famine in recorded history can be traced to the insidious influence of usury banking. Moreover, these devastating events recur with cyclical regularity that can be charted and predicted. While natural, geo-cosmic influences may account in part for these cyclical occurrences, Hoskins maintains that they are mostly attributable to central banking influences. Starting with this premise, Hoskins takes the reader on a journey that winds its way through nearly 4,000 years of history to our present day all within the short space of 300 pages. All along the way the presence of usury banking makes its appearance. For instance, Hoskins points out that history records the first known use of credit-or IOUs-is created from nothing is found in the ancient ruins of Babylon and perfected by the priests of Baal. The whole concept of usury, or of lending money with interest, invented at that time remains unchanged today. Hoskins boils it down to lending 10 talents of money and demanding payment of 11 talents when there are only 10 talents in circulation. Usury contracts drawn up then stated that the borrower was to pay his debt in "talents" only, but the problem is and always has been that the central bank-created money supply is always finite while compound interest is theoretically infinite. Little has changed since then, Hoskins says, as today's high priests of finance are the world's central banks sitting in their temples of mammon, the modern progeny of the money-lending priests of Baal. borrower is servant to the lender." (Proverbs 22:7); "Owe no man anything but to love one another." (Romans 13:8). Had people throughout history heeded these warnings about avoiding taking on debt with interest attached to it, untold wars, revolutions, conquests, famines, and financial panics could have been averted, Hoskins contends. One of the first consequences of a usury-based financial system, according to Hoskins, is heavy taxation. Hoskins contends that "The only thing that has kept the usury system operating through the ages is taxation." Why are usury and giving false measure forbidden (productive and unproductive)? · It causes the never ending alternation of inflation and deflation created when credit money is expanded or contracted for non-productive use. It causes people to fight to catch up to inflation. It increases the burden of debt when it is allowed to contract. The "inflation" benefits the private money-lenders since it wipes out savings of one generation so they can not finance or help the next generation who must then borrow from the money-lenders and pay a large part of their life's labor to the usurer. When the savings are gone and people are in debt, then credit and currency are contracted to increase the purchasing power that people must earn and pay to their creditors. · It makes people & companies compete for money instead of competing for markets and resources. · It encourages greed and fear of scarcity (in fact, the job of the central banks is to create and maintain that currency scarcity) and the direct consequence is that we have to fight with each other in order to survive. Money is created when banks lend it into existence. When a bank provides you with a $100,000 mortgage, it creates only the principal, which you spend and which then circulates in the economy. The bank expects you to pay back $200,000 over the next 20 years, but it doesn't create the second $100,000 - the interest. Instead, the bank sends you out into the tough World to battle against everybody else to bring back the second $100,000. · It creates losers and winners, just like gambling and lotteries. Some have to default on their loan in order for others to get the money needed to pay off that interest. Increased interest costs automatically determine a larger proportion of necessary bankruptcies. So when the bank verifies your "creditworthiness," it is really checking whether you are capable of competing and winning against other players - able to extract the second $100,000 that was never created. And if you fail in that game, you lose your house or whatever other collateral you had to put up. · It influences the unemployment rate and creates unemployment. · It encourages hoarding and creates Tyrants who want to control the issue of money on which they can demand interest for ever. Today's official monetary system has almost nothing to do with the real economy. Just to give you an idea, 1995 statistics indicate that the volume of currency exchanged on the global level is $1.3 trillion per day. This is 30 times more than the daily gross domestic product (GDP) of all of the developed countries (OECD) together. The annual GDP of the United States is turned in the market every three days! Of that volume, only 2 or 3 percent has to do with real trade or investment; the remainder takes place in the speculative global cyber-casino. This means that the real economy has become relegated to a mere frosting on the speculative cake, an exact reversal of how it was just two decades ago. · It creates monetary crises. For one thing, power has shifted irrevocably away from governments toward the financial markets. When a government does something not to the liking of the market - like the British in '91, the French in '94 or the Mexicans in '95 - nobody sits down at the table and says "you shouldn't do this." A monetary crisis simply manifests in that currency. So a few hundred people, who are not elected by anybody and have no collective responsibility whatsoever, decide what your pension fund is worth - among other things. · It creates crashes. George Soros, who's made part of his living doing what I used to do - speculating in currencies - concluded, "Instability is cumulative, so that eventual breakdown of freely floating exchanges is virtually assured." Joel Kurtzman, ex-editor at the Harvard Business Review, entitles his latest book: The Death of Money and forecasts an imminent collapse due to speculative frenzy. Just to see how this could happen: all the OECD Central Banks' reserves together represent about $640 billion. So in a crisis situation, if all the Central Banks were to agree to work together (which they never do) and if they were to use all their reserves (which is another thing that never happens) they have the funds to control only half the volume of a normal day of trading. In a crisis day, that volume could easily double or triple, and the total Central Bank reserves would last two or three hours. In 1929, the stock market crashed, but the gold standard held. The monetary system held. Here, we are dealing with something that's more fundamental. The only precedent I know of is the Roman Empire collapse, which ended Roman currency. That was, of course, at a time when it took about a century and a half for the breakdown to spread through the empire; now it would take a few hours. · It encourages people to store value in money and let the money grow instead of working, and it concentrates the wealth into the hands of the issuer of money, i.e. the Banking Dynasties. In a non-interest money system where money would be created and issued by the sovereign government debt-free and interest-free, people would only use money as a medium of exchange and not as a store for value. That would create work, because it would encourage circulation, and it would invert the short-term incentive system. Instead of cutting trees down to put the money in the bank and make the money grow with interest, you would want to invest your money in living trees or in installing insulation in your house. · It encourages harmful economic activities with discounted cash flows. That means that under our current system it makes sense to cut down trees and put the money in the bank; the money in the bank will grow faster than trees. It makes sense to "save" money by building poorly insulated houses because the discounted cost of the extra energy over the lifetime of the house is cheaper than insulating. We can, however, design a monetary system that does the opposite; it actually creates long-term thinking through what is called a "demurrage charge." T In other words, we create a negative rather than a positive interest rate. What would that do? If I gave you a $100 bill and told you that a month from now you're going to have to pay $1 to keep the money valid, what would you do? I suppose I would try to invest it in something else. You got it. You know the expression, "Money is like manure; it's only good when it's spread out." In the Gesell system, people would only use money as a medium of exchange, but not as a store for value. That would create work, because it would encourage circulation, and it would invert the short-term incentive system. Instead of cutting trees down to put the money in the bank, you would want to invest your money in living trees or installing insulation in your house. · It reduces the quality of life. There are many examples in the past of interest-free societies in ancient Egypt, Mandarin China, Saxon Europe, Saracen Islamic empire, 1935 Germany, etc. Recent studies have revealed that the quality of life for the common laborer in Europe was the highest in the 12th to 13th centuries; perhaps even higher than today. When you can't keep savings in the form of money, you invest them in something that will produce value in the future. So this form of money created an extraordinary boom. · It creates inequalities and breakdown in communities, which create tensions that result in violence and wars. · It encourages wars. The private owners of the central banks provide loans for wars and collect huge amounts of interest. · It works to concentrate wealth towards an elite group of multinational investors. Trade treaties, the IMF and World Bank were aimed at defrauding Third World countries so that the markets and banks of the First World countries could survive via economic expansion and debt transference. Most of the World’s countries have a lower standard of living than 20 years ago! 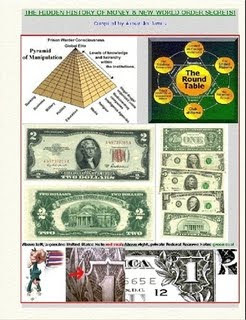 · It’s a giant pyramid scheme with the Illuminati Banking dynasties at the top, then the World's Masses at the bottom! Nations borrow Special Drawing Right (SDR) from the International Monetary Fund in order to pay interest on their mounting debts. With these SDR's produced at no cost, the IMF charges more interest. This, contrary to bold claims, does not alleviate poverty or further any development.
. It creates a steady flow of wealth from borrowing nations to the money changers who now control the IMF and the World Bank. The permanent debt of Third World Countries is constantly being increased to provide temporary relief from the poverty being caused by previous borrowing. These repayments already exceed the amount of new loans. By 1992 Africa's debt had reached $290 billion dollars, which is two and a half times greater than it was in 1980. A noble attempt to repay it has caused increased infant mortality and unemployment, plus deteriorating schools, and general health and welfare problems. If a country cannot pay, its natural resources and other assets are sold off the pay the interest to the Illuminati Bankers. As World resources continue to be sucked into this insatiable black hole of greed, if allowed to continue the entire World will face a similar fate. As one Prominent Brazilian Politician put it. "The Third World War has already started. It is a silent war. Not, for that reason, any less sinister. The war is tearing down Brazil, Latin America, and practically all the Third World. Instead of soldiers dying, there are children. It is a war over the Third World debt, one which has as its main weapon, interest, a weapon more deadly than the atom bomb, more shattering than a laser beam." It is estimated the IMF has produced $30 billion dollars worth of SDR's so far. In the United States SDR's are already accepted as legal money, and all other member nations are being pressured to follow suit. With SDR's being partially backed by gold, a World gold standard is sneaking its way in through the back door, which comes with no objection from the money changers who now hold two-thirds of the Worlds gold and can use this to structure the Worlds economy to their further advantage. · It encourages lies, deceptions, fake-terror and propaganda by the Illuminati Bankers who want to protect their cash cow. To maintain and move forward with their cash cow, they have to project deceptive fronts of capitalism, democracy, religion and anti-Semitism behind which they carry out their plans (Orwellian tactics from the book “1984”). G. Edward Griffin explains (details later in several sections of this book) how the owners of the privately controlled central bank known as the US Federal Reserve use their power to create money tax-free and use their unauditable profits to acquire control over the power centers of society, i.e. those groups and institutions through which individuals live and act and rely on for their information. They are buying control over the organizations, groups and institutions that control people, politicians, political parties, television networks, cable networks, newspapers, magazines, publishing houses, wire services, motion picture studios, universities, labor unions, church organizations, trade associations, tax-exempt foundations, multi-national corporations, boy scouts, girl scouts, you name it, and particularly over those organizations that represent opposition to themselves. This process has gone on not only to a marked degree in America and in the other industrialized nations of the World, but it has gone on in the underdeveloped nations to such a degree that we would say the process is now complete. They own these countries already. The money goes to the politicians of those countries, to their governments and the money is spent to strengthen their power structures, their ability to control their populations. They create a well-equipped army (note the $30 billion for hiring mercenaries to train the new armies in Afghanistan and Iraq), a better bureaucracy, for total control of their subjects. That's where the money's being spent. Horace Greely 1811-1872: "While boasting of our noble deeds, we are careful to control the ugly fact that by an iniquitous money system, we have nationalized a system of oppression which, though more refined, is not less cruel than the old system of chattel slavery." If the money is issued by a privately owned corporation, its owners benefit by causing the money amount and its value to fluctuate and causing the people to go into debt and pay interest permanently through taxes. Under the present debt-usury system, the extra burden of usury forces workers and businesses to demand more money for the work and goods to pay their ever increasing debts and taxes. This increase, in prices and wages and taxes, is called "inflation". Illuminati Bankers, politicians and "economists" blame it on everything, but the real cause is the usury levied on money and debt by the Illuminati Bankers. This "inflation" benefits the money-lenders since it wipes out savings of one generation so they can not finance or help the next generation who must then borrow from the money-lenders and pay a large part of their life's labor to the usurer. With an adequate supply of interest-free money created by the sovereign Government, little borrowing would be required, and prices would be established by people and goods, and not by debts and usury. The financial system that the World has evolved on is the privately owned Bank of England USURY model and it is not sustainable. It creates nearly all money as debt. Such money only exists as long as someone is willing and able to pay interest on it. It disappears, wholly or partially, in recurring financial crises. Such a system requires that new debt must be created faster than principal and interest payments fall due on old debt. A sustainable financial system would enable the real economy to be maintained decade after decade and century after century at its full employment potential without recurring inflation and recession. By this standard, a financial system that creates money only through the creation of debt is inherently unsustainable. When a bank makes a loan, the principal amount of the loan is added to the borrower's bank balance. The borrower, however, has promised to repay the loan plus interest even though the loan has created only the amount of money required to repay the principal-but not the amount of the interest. Therefore unless indebtedness continually grows it is impossible for all loans to be repaid as they come due. Furthermore, during the life of a loan some of the money will be saved and re-lent by individual bond purchasers, by savings banks, insurance companies etc. These loans do not create new money, but they do create debt. While we use only one mechanism-bank loans-to create money, we use several mechanisms to create debt, thus making it inevitable that debt will grow faster than the money with which to pay it. Recurring cycles of inflation, recession, and depression are a nearly inevitable consequence. If, in the attempt to arrest the price inflation resulting from an excessive rate of debt formation, the monetary authorities raise the rate of interest, the result is likely to be a financial panic. This in turn may result in a sharp cutback in borrowing. Monetary authorities respond to bail out the system by increasing bank reserves. Governments may also respond by increasing the public debt-risking both inflation and growing government deficits. Let's keep something in mind while reading this folks, increasing the money supply is not in and of itself a bad thing. However, the way the Fed does it is ridiculous. First of all every dollar introduced into the economy is based on debt! New money cannot be created unless new debt is created. Second of all, the Fed year after year increases the money supply greater than the output of the economy. Let's say the economy grows by 3% in one year. The money supply should then grow by 3% in order to not have deflation. Does the government increase the money supply by 3%? Nope, it increases the money supply by 4-6%. That extra 1-3% is money that comes right out of your monetary assets’ purchasing power, a hidden tax. This is why there has been a total of 1500% inflation since the Federal Reserve was established in 1913. Keep in mind this is LONG TERM inflation I am talking about. Not short term inflation, which can be caused by market forces. I think short term inflation is a smokescreen for the cause of long term inflation as they can easily be confused by the common man. Laurence Ball, assistant professor of economics at Princeton University and a visiting scholar in the Research Department of the Philadelphia Fed: While economists disagree about many issues, there is near unanimity about this one: continuing inflation occurs when the rate of growth of the money supply consistently exceeds the rate of growth of output (of the economy). From: What causes inflation? Money loses its value when it is created and put into circulation (spent) faster than the growth in productivity in the local economy (versus just being created and held as a reserve). Churchill to Lord Robert Boothby: "Germany's unforgivable crime before the second World war," Churchill said," was her attempt to extricate her economic power from the World's trading system and to create her own exchange mechanism which would deny World finance its opportunity to profit. ", quoted in the Foreword, 2nd Ed. Sydney Rogerson, Propaganda in the Next War 2001, orig. 1938. [A bit like what Iran will be doing soon with its bourse] A few pence lent out at usury some twenty centuries ago would amount now, at compound interest, to more wealth than there is in the whole World, which is a sufficient proof that usury is unjust and, as a permanent trade method, impossible. The large proportion of usurious payments which are now being made on account of the impersonal and indirect character of nearly all transactions, is beginning to lay such a burden upon the World as a whole that there is danger of a breakdown as the loans were made for unproductive purposes (such as wars) and created no new wealth. If you keep on taking wealth as though from an increase, when really there is no increase out of which that wealth can come, the process must sooner or later, come to an end. It is as though you were to claim a hundred bushels of apples every year from an orchard after the orchard had ceased to bear, or as though you were to claim a daily supply of water from a spring which had dried up. The man who would have to pay the apples would have to get them as best he could, but by the time the claim was being made on all the orchards of the World, by the time that usury was asking a million bushels of apples a year, though only half a million were being produced, there would be a jam. The interest would not be forthcoming, and the machinery for collecting it would stop working. Long before it actually stopped of course, people would find increasing difficulty in getting their interest and increasing trouble would appear in all the commercial World. Things will not get right again in this respect until society becomes as simple as it used be, and we shall have to go through a pretty bad time before we get back to that. What about that "holiday of a lifetime, thanks to a bank loan", or "those presents, bought with a credit card", or "your new car, bought on installments", or "your nice home, with the 25 year mortgage"? All Usury. Shocked? Think about this: that it was calculated that as recently as 1989, the average person was spending nearly 80% of his income, directly or indirectly, on usurious payments. In other words our society is in the grip of an evil that has been condemned from the earliest recorded times. Today it is in a form so refined that most people do not even know it. Does being anti-usury mean, therefore, that we cannot own houses, or buy toys for children, or go on holiday or do the 1001 things that all do regularly? Not at all. It is quite the reverse, because in a system free of usury, prosperity grows and expands to the benefit of all - except bankers, and Stock Exchange swindlers, and loan sharks, and speculators. In other words, a usury-free society is one in which 99% of the people gain at the expense of the 1% who exploit; while a usury-dominated society means working for the interests of the 1%, and suffering all kinds of hardships to make ends meet. What is this "national debt" of which we often hear, but know little about? Has it ever occurred to you that it is found to be unusual to have a national debt when you study history? Did you know that from 1931 until 1974 Portugal had no national debt at all because it followed, between those dates, a usury-free system? The National Debt is largely government debt built up over the centuries because of usury. At any given time some 90% or more of the debt is usurious. Take, for example, the War loans raised by the British government during the First World War to finance those battleships which were lost in the Battle of Jutland in 1916 - eighty years on we are still paying interest to the Rothschild Dynasty bankers who supplied most of the 'money'. Or what about the fact that our taxes are still paying a European banking family interest on a loan of a few thousand pounds to the government for a war fought in the 18th century? So if you have ever wondered why services are being cut back, or why taxes, direct and indirect, are constantly taking money out of your purse, or why there is no investment capital available for small and medium sized businesses, look no further. The answer lies in the fact of usury. But no political figure, and no journalist, and no "truth-seeker" is prepared to say the word, because he knows it would be the end of his career. Why? Because when you grasp the essential message of usury - which involves the creation of money from nothing - and how it works in the modern World, you will understand that booms and depressions, and inflation and deflation, are not freak events, but events that can be socially engineered and scientifically predicted, caused by a handful of mega-financiers. Why will no one speak out? Quite simply, fear. Ask any of your friendly bank managers over the age of 60, who remember the times when the true meaning of usury was still known in certain quarters, about the subject of usury, and you will see fear enter the face of a man who only seconds earlier looked so powerful across his leather-topped desk. Fear for career, for his family and their future. Yes, the truth is known, but who is going to be David against the Goliath that usury has become? Or do we have to wait until Goliath falls over once his weight has become too much to bear? In that case we will have to put society together again - and how much pain, suffering, misery, and death will that necessitate? And will it even be possible? Maybe all this is exaggerated? Maybe the figures show differently? All right, let's look at the figures. In 1980, according to Nobel Prize Winner for Economics, Maurice Allais, the Foreign Exchange Market registered $94 trillion. That means in simple terms - money making money, financialspeculation, usury. By 1986 this had risen to $193 trillion. So in just six years it has almost doubled in volume. But then look in 1989, just three yearslater - it has become $420 trillion. In other words, in just nine years - and you remember the 1980's, don't you, when it was "time to get tough", andinstitute "austerity programs" to curb public spending, and mortgage interest rates went up to 20% - by that time the money markets, the focus of international usury, had grown by well over 400%. Note, too, that the rate of increase of speculation is growing ever more rapidly. Between 1980 and 1986 it grew by nearly 100%, yet in half that time - 1986-1989 - it has grown by over 200%. Why bother going to the trouble to have a good idea, plan it, test it, bring it to production, market it, sell and transport it, when you can make vast sums, beyond your wildest dreams, sitting in front of a computer screen and playing the casino known as the currency and derivatives markets? Home Rule for BC adds that speculation in money is becoming known as "stratospheric money", for a couple of reasons - it moves around the World in a flash, and it is high up out of the reach of the ordinary person. Clearly, the men who control the banks effectively control the World - private individuals "creating" or "uncreating" money as they see fit, following whatever suits their interests, and without a thought for society as a whole. Heads they win, and tails you lose. Well, we’ve seen now several ways that the central banks are just acting in the interest of the Illuminati Banking dynasties, regardless of whether they are fully private, semi-private or government owned. If the money is issued by a privately owned corporation, its owners benefit by causing the money amount and its value to fluctuate and causing the people to go into debt and pay interest permanently through taxes." lose your house or whatever other collateral you had to put up. · It influences the unemployment rate and creates unemploymet. · It works to concentrate wealth towards an elite group of multinational investors. Trade treaties, the IMF and World Bank were aimed at defrauding Third World countries so that the markets and banks of the First World countries could survive via economic expansion and debt transference. Most of the World?s countries have a lower standard of living than 20 years ago! · It's a giant pyramid scheme with the Illuminati Banking dynasties at the top, then the World's Masses at the bottom! * Nations borrow Special Drawing Right (SDR) from the International Monetary Fund in order to pay interest on their mounting debts. With these SDR's produced at no cost, the IMF charges more interest. This, contrary to bold claims, does not alleviate poverty or further any development. dollars worth of SDR's so far. In the United States SDR's are already accepted as legal money, and all other member nations are being pressured to follow suit. With SDR's being partially backed by gold, a World gold standard is sneaking its way in through the back door, which comes with no objection from the money changers who now hold two-thirds of the Worlds gold and can use this to structure the Worlds economy to their further advantage. This process has gone on not only to a marked degree in America and in the other industrialized nations of the World, but it has gone on in the underdeveloped nations to such a degree that we would say the process is now complete. They own these countries already. The money goes to the politicians of those countries, to their governments and the money is spent to strengthen their power structures, their ability to control their populations. They create a well-equipped army (note the $30 billion for hiring mercenaries to train the new armies in Afghanistan and Iraq), a better bureaucracy, for total control of their subjects. That's where the money's being spent. inherently unsustainable. When a bank makes a loan, the principal amount of the loan is added to the borrower's bank balance. The borrower, however, has promised to repay the loan plus interest even though the loan has created only the amount of money required to repay the principal-but not the amount of the interest. authorities raise the rate of interest, the result is likely to be a financial panic. This in turn may result in a sharp cutback in borrowing. Monetary authorities respond to bail out the system by increasing bank reserves. Governments may also respond by increasing the public debt-risking both inflation and growing government deficits. Let's keep something in mind while reading this folks, increasing the money supply is not in and of itself a bad thing. However, the way the Fed does it is ridiculous. First of all every dollar introduced into the economy is based on debt! New money cannot be created unless new debt is created. Second of all, the Fed year after year increases the money supply greater than the output of the economy. Nope, it increases the money supply by 4-6%. That extra 1-3% is money that comes right out of your monetary assets? purchasing power, a hidden tax. This is why there has been a total of 1500% inflation since the Federal Reserve was established in 1913. Keep in mind this is LONG TERM inflation I am talking about. Not short term inflation, which can be caused by market forces. I think short term inflation is a smokescreen for the cause of long term inflation as they can easily be confused by the common man. A few pence lent out at usury some twenty centuries ago would amount now, at compound interest, to more wealth than there is in the whole World, which is a sufficient proof that usury is unjust and, as a permanent trade method, impossible. The large proportion of usurious payments which are now being made on account of the impersonal and indirect character of nearly all transactions, is beginning to lay such a burden upon the World as a whole that there is danger of a breakdown as the loans were made for unproductive purposes (such as wars) and created no new wealth. If you keep on taking wealth as though from an increase, when really there is no increase out of which that wealth can come, the process must sooner or later, come to an end. It is as though you were to claim a hundred bushels of apples every year from an orchard after the orchard had ceased to bear, or as though you were to claim a daily supply of water from a spring which had dried up. The man who would have to pay the apples would have to get them as best he could, but by the time the claim was being made on all the orchards of the World, by the time that usury was asking a million bushels of apples a year, though only half a million were being produced, there would be a jam. The interest would not be forthcoming, and the machinery for collecting it would stop working. Long before it actually stopped of course, people would find increasing difficulty in getting their interest and increasing trouble would appear in all the commercial World. Government of Germany had done. If you look at the usury created by the Great War (1914), you will see this kind of thing going on all sides. The Governments that were fighting borrowed money from individuals and promised to pay interest upon it. wheat was not used to feed workmen who were producing more wealth. It was used to feed soldiers who were producing no wealth, and so were the ships and the metal and the machinery, etc. Therefore when the individuals who had lent the money began collecting from the Government interest upon what they had lent they were asking every year for wealth which simply was not there, and the Governments have got out of their promise to pay a usurious interest in all sorts of ways - some by repudiating, that is, saying that they would not pay (the Russians have done that), others by debasing currency in various degrees. The English Government has cut down what it promised to pay to about half, and by taxing this it has further reduced it to rather less than a third. The French Government, by inflation and by taxation have reduced it much more - to less than a fourth, or perhaps more like a sixth or an eighth. The Germans have reduced it by inflation to pretty well nothing, which is the same really as repudiating the debt altogether.